Bertram’s Inkwell introduces the new Pelikan M101N Bright Red! 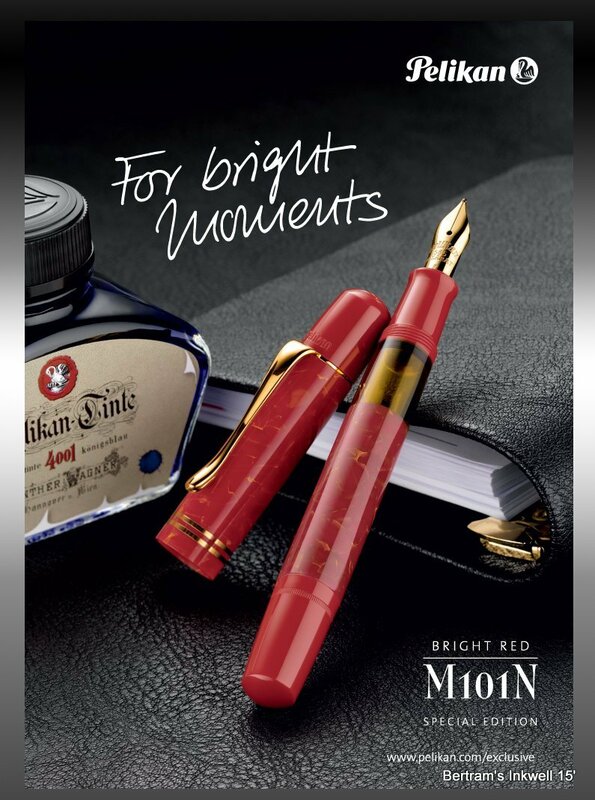 The new special edition Pelikan M101N Bright Red has a unique presence and intense luminosity reflected in this elegant masterpiece. 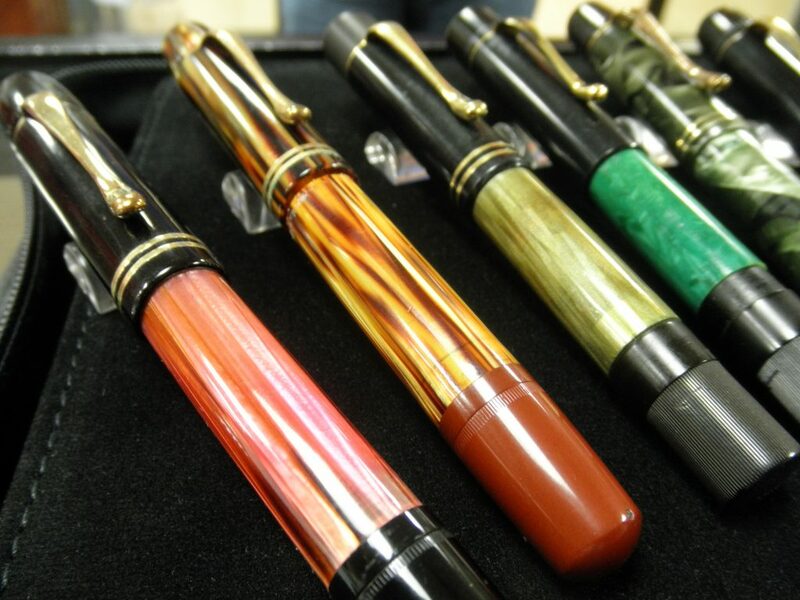 The successful Pelikan M101N series continued in Tortoiseshell Brown, Tortoiseshell Red, and Lizard finishes. The Pelikan M101N vintage Bright Red fountain pen will be a prized collector’s item. Hand crafted from the highest quality acrylic with a vibrant red barrel and cap sleeve are a distinctive marbled pattern. The quality synthetic resin used to create the cap head and the filling handle polishes itself as it is used, meaning that bright red will always continue to shine. 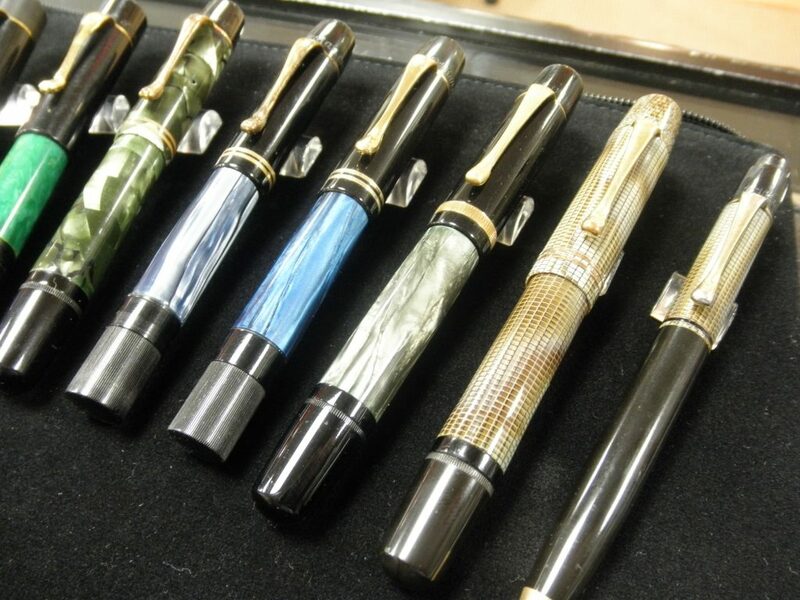 In the year 1929 Pelikan was the first company in the world to introduce the differentiated piston mechanism. This technique causes the spindle inside the fountain pen to turn quicker than the end piece of the barrel, with the help of two different threads. To this date, this fountain pen exists in many different variations, and though it has been developed in design and technical details over time, the basic mechanism remains the same. If you love classics, you own a Souverän writing instrument. Below are some pictures of previous (original) M101N’s. 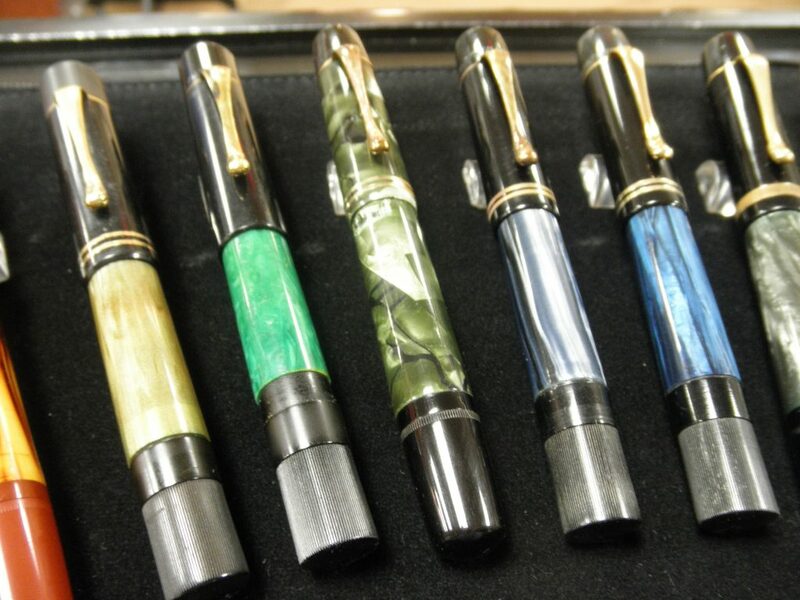 Pelikan has been using the M101 platform as a limited edition for years. In the 1990’s they came out with a few variations on this model. They made a marbled green tortoise finish. They also made a solid gold version, and finally in white gold. Then the series went dormant for over a decade. About 5 years ago, they reintroduced the M101 in a brown Tortoiseshell finish. We’ll introduce the NEW Pelikan M101N Bright Red at the Baltimore Washington International Pen Show in a few weeks! 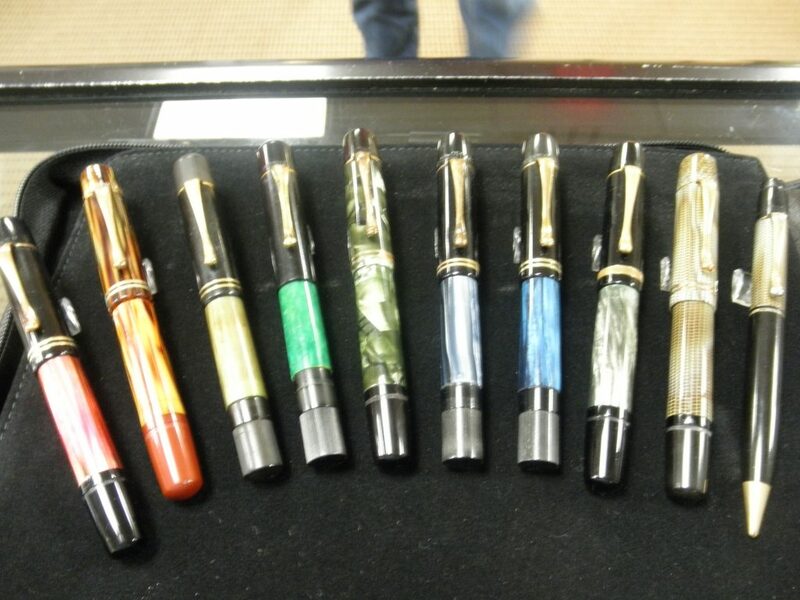 Also, a special thanks to Len G. for allowing us to share his vintage Pelikan collection.